A superbly balanced edition of Glenfarclas with lots of sherry cask character that never becomes too overpowering. This is smooth and buttery with complex spicy notes and just a hint of peat smoke. An excellent introduction to the 'Sherried' style of Glenfarclas. 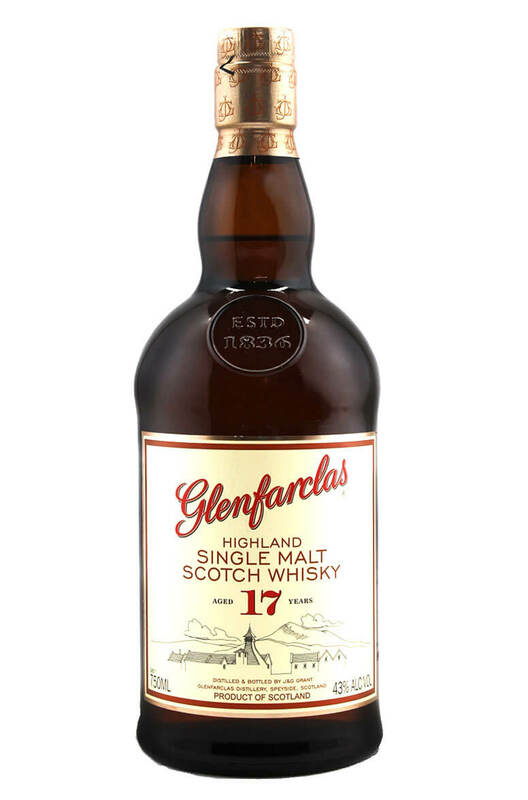 This has some lovely, juic..
A much loved and richly flavoured single malt from Glenfarclas. This has a wonderful balance and ..
Often rated as the most balanced and richest tasting of the core range of Glenfarclas single malts. ..
A superb Sherry cask matured malt that is packed full of sweet, dried fruit flavours with some tangy.. Originally released as a travel exclusive, this Glenfarclas stays true to its typical distillery pro..